While the game’s mathematical improbabilities produced this sort of hyperbole, fans really believed in it, and grew increasingly fervent. So it was perhaps inevitable that that very same subreddit, after so much breathless anticipation of a game of seemingly unparalleled depth, exploded in fury when its release was delayed—even taking it out on a journalist who reported on that delay by sending him death threats. After the game was released to muted reception, however, the subreddit truly went supernova. Last month, its own moderator shut it down for being “a hate-filled wastehole” (an extremely solid phrase), and while it’s since been reopened by a new moderator, the whole thing remains an example of how toxic modern gaming communities can get. All the outrage may have even changed the way video games are marketed: The organizers of one huge annual video game event are now looking at ways to reduce advance hyperbole, in hopes that any crestfallen fans of future games won’t end up falling into such vituperative backbiting or, y’know, sending out any death threats. This has in turn inspired several other full Eminem raps rewritten to be about the plight of spurned No Man’s Sky fans—which sort of ruins the joke, since “Stan” is about obsessive fandom, but whatever. The subreddit’s always had some sense of humor about itself, for all its wild-eyed intensity, and it’s good to see that continue, even in these dark times. 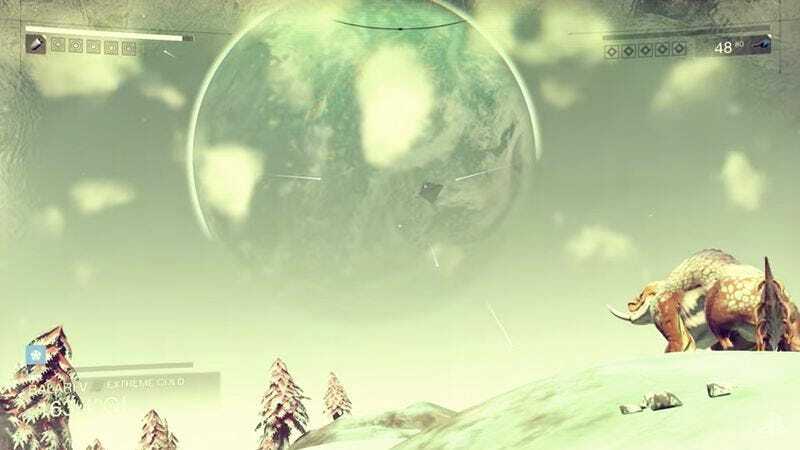 Hope is dwindling for any major update that would miraculously fix the many shortcomings of No Man’s Sky itself. It’s much more likely that, in 20 days, Father Murray will still be absentee, and his foundlings will have to forge on, hopefully with a sense of humor about it all.